Like his New York cohorts, Martin Scorsese, Spike Lee and Woody Allen, Sidney Lumet never quite fit in with Hollywood and remained outside the system for his entire career. A career that spanned well over forty-five years going back to the days of live television dramas when he and fellow directors like John Frankenheimer and Arthur Penn, among others were creating their own version of a new wave. After World War II, Lumet made his theatrical directing debut Off-Broadway and eventually on Broadway in the productions like, “Speeds in the Wind and “Nowhere to Go But Up.” With the advice of his friend, actor/director Yul Brynner, Lumet made the transition to live TV on such shows as “The U.S. Steel Hour,” “The Alcoa Hour” and “Studio One in Hollywood,” among others. Lumet made his feature film debut as a director in 1957 with the courtroom classic, “12 Angry Men.” Lumet said it took him about seven films to adjust to the spacial difference between the small TV screen and the much larger movie screen. In “12 Angry Men” Lumet used 387 different setups, shot in just 19 days. 200 of those setups were in the last half hour of the film in order to speed up the tempo. As a director, Lumet was a supreme craftsman and artist. He knew his camera lens and angles, he was knowledgeable with sound. On the set, he always stayed close to the camera and nearly always brought his films in under budget. While directors like William Wyler and George Stevens shot a million feet of negative film for each movie, Lumet shot much less, for example, making “Serpico,” he shot only 72,000 feet. He credits this to his knowledge of knowing what the camera is seeing so there is no need to shoot additional footage to cover himself. From his very first film (12 Angry Men) to his last (Before the Devil Knows Your Dead), Lumet never lost his vision as a filmmaker of social issues. In films like “Serpico,” “Network,” “The Pawnbroker,” “12 Angry Men” and “Prince of the City,” he exposed corruption, bigotry, and courage in the face of adversity. While many of Lumet’s films focused on New York, his vision extended beyond the five boroughs in works like “Fail-Safe” (Cold War), “Murder on the Orient Express” (Agatha Christie), “The Deadly Affair” (International intrigue) and “The Hill” (World War II). 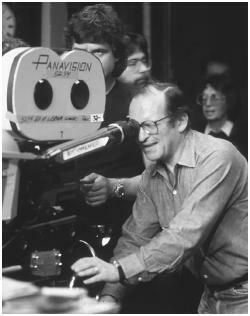 Many of Lumet’s films were based on theatrical plays from classic’s like Tennessee Williams “The Fugitive Kind,” O’Neill’s “Long Night’s Journey into the Night,” Chekov’s “The Seagull” to more modern works like “Child’s Play,” “Equus,” “Deathtrap” and the most unlikely work in his filmography, “The Wiz,” a critical and audience failure. But New York was his favorite subject, his heart and soul. It was so ingrained in his work; the city was a character with emotions reflecting the mood and style of each film. Like his fellow New York filmmakers he was also ignored when it came to receiving the treasured Oscar, only to be given a reluctant pat on the back honorary Oscar in 2005. Police corruption, ethics were recurring themes in Lumet’s work. In “Serpico,” based on the bestselling book by Peter Maas that told the story of David Durk and Frank Serpico who exposed multiple examples of police corruption within the New York City police department, Lumet’s film, from a screenplay by Waldo Scott and Norman Wexler, focused its attention on Frank Serpico, portrayed by Al Pacino. The film was daring for its time and a critical and popular success. “Prince and the City”, “Q&A” and “Night Falls on Manhattan” all followed the same themes. The courthouse was another favorite theme for Lumet, most prominently displayed in “12 Angry Men”, “The Verdict,” “Night Falls on Manhattan” and in “Find Me Guilty,” a much underrated film. Actors loved working with Lumet. He brought out the best in them, just think about the amazing performances he got out of such actors like Al Pacino, Rod Steiger, Paul Newman, Charlotte Rumpling, Faye Dunaway, and Peter Finch to name just a few. Many received Oscar nominations and even the award itself. His films received well over fifty nominations. TCM will conduct a four film tribute plus a Private Screenings Interview on April 21st starting at 8PM. This entry was posted in Essays, Sidney Lumet and tagged Sidney Lumet. Great tribute to a great director. Thanks, he was always a favorite of mine too. Very nice tribute – very well-written and detailed. Lumet was an amazing filmmaker and his films set in New York City really showed off the best and worst of the town. And thanks for the heads up on the TCM tribute! I am looking forward to the TCM tribute myself. That’s a truly heart-warming & engaging cover on one of America’s most iconic filmmakers – Syddey Lumet. Though I haven’t seen all his films, leave alone all his great ones (prominent among them being Serpico & Network), the ones that I have watched rank among my favourites. His career, as you so wonderfully captured, was indeed sandwiched between two of my favourite films – 12 Angry Men remains one of the great masterpieces, while Before the Devil Knows You’re Dead was, in my opinion, an incredible achievement.I liked his Dog Day Afternoon as well. So yes, it was really sad to know that this great filmmaker has passed away. But at least he lives on through his works, & in the memories of film lovers. Thanks a lot John for your eulogy remembering Sydney Lumet. There was really a lot of quality in much of his work. A true artist and technician who captured the essence of New York. thanks!!! As you point out, Lumet knew the lenses and sound technique, not to mention lighting, and of course, the use of color. He was a craftsman. And he knew how to get performances out of actors. He was a director. But most of all, and most importantly, he knew the script He was a film-maker. A film-maker with so many great films to leave us. Thanks for your review, your tribute, John. A fine summation on your part Dave. Lumet was a craftsman and an artist! Well John, you are the master of the written eulogy, and as a life-long New Yorker you saw that Lumet, much like Scorsese and Allen, was able to gage the Big Apple pulse. As you note he was most comfortable here, and his location work was integral towards the realization of his vision. My favorite Lumet is THE PAWNBROKER with Rod Steiger, which contains one of the most shattering final scenes in all of American cinema. Like many other I also consider 12 ANGRY MEN and NETWORK in particular as irrefutable masterworks. R.I.P. Beautifully presented here John. THE PAWNBROKER is an amazingly powerful film. It was the first of his films I ever saw, think it was back in ’64 or ’65. I actually went to see it because it was given the big “C” by the Catholic Church (LOL)and I wanted to see what the big deal was. Steiger gave one of his best performances. Thanks my friend! THE PAWNBROKER is one people don’t seem to watch or talk about much these days. I loved it. Really powerful stuff. And a great jazz score, too, if I recall correctly. A great powerful film, David. I agree. Wonderful, sincere tribute to Mr. Lumet. Although I admire many of his films, my favorite is probably his directorial debut: 12 ANGRY MEN. Thanks Rick! 12 ANGRY MEN ranks up there as one of the great film debuts for sure. So many great performances! It is one of those films I have to watch every couple of years.